Langston Hampton is an ambitious man. 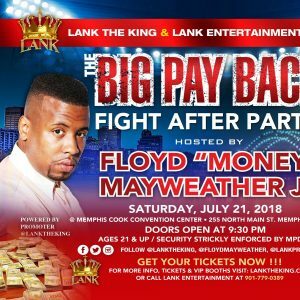 Only 33 years old, this product of some of Memphis’ toughest streets is on his way to making his mark on the sport of boxing through his Lank Promotions. Unlike many in what is considered the red light district of sports, Hampton is about as clean as they come. “I don’t drink,” he tells me. “I don’t smoke.” He doesn’t do drugs, either. What’s more, after earning himself a degree around ten years ago, Hampton got himself into the boxing business. It’s an endeavor he truly has a passion for.